Leroy Kubel is one of the club’s founding fathers. He is a charter member and in fact was our first president. That’s Leroy at left in his natural stance at last year’s show at the Botanic Garden. For as long as anyone can remember he has taken excellent photographs of the club’s annual show. With the introduction of digital photography and with the help of his trusty Mac, Leroy has taken his annual presentation far beyond a carousel full of Kodachrome slides. He has added people, videos, clever graphics, music, events other than the show, and usually a surprise or two. His presentation is always a delightful don’t-miss event! March was a month showcasing our members of many talents. 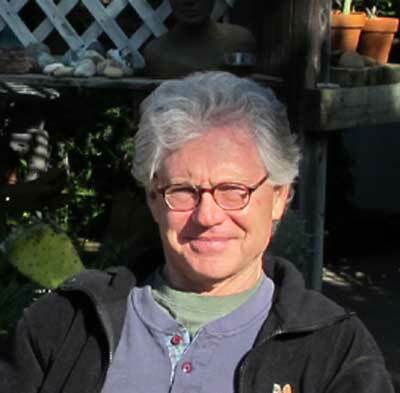 John Bleck was a judge at the Orchid Show at the Earl Warren Show grounds. Keith Mautino had several award-winning outstanding displays at the Orchid Show. Keith was also instrumental in the presenting of the “Prince’s Plaque” at the Santa Barbara Trust for Historic Preservation ribbon cutting ceremony. 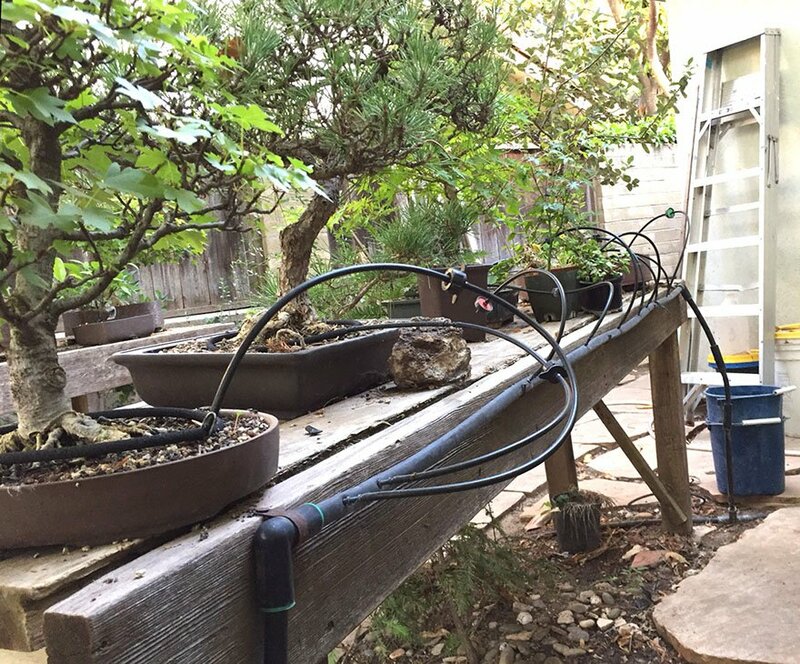 This month’s issue of Golden Statements [Spring 2015, p27 and p40; available in the club library] has an article on Tyler DeBlauw and his being one of four “Plant-A-Seed” recipients awarded the grant by the Golden State Bonsai Federation. We are actively gearing up for our May 16 & 17 show at the Botanic Garden. We will once again be having our silent auction at the show, so please consider bringing several donations for the event. We had a great turnout last year and hope to have even more material this year. Please look for your tree submission form in our newsletter and be prepared to get it to Ann Erb on time. More details on the various forms for the show next month. Andrew gave us a useful presentation that reminded some of us that we are sadly lacking in proper maintenance of our tools and we left with a resolution to sharpen up our tool care. Following are just a few of the highlights of his presentation. Any omissions or bad information are mine, not Andrew’s. Most of our shears are single bevel tools; that is they have a totally flat side and a beveled side. The beveled side should be super sharp and you should able to cut paper as if you were holding a razor blade. A good flat stone is essential. If you are using a conventional stone, periodically place some fine sandpaper on a flat surface such as a sheet of glass and rub your stone in circles on the sandpaper until it is flat again. Andrew makes much use of small color coded diamond stones. They sharpen quickly and don’t get worn out of shape as do conventional stones. The diamonds are very tiny industrial grade particles, more like dust than anything you’ll find at a jewelry store, so they are not prohibitively expensive. Andrew recommends using three grits: Coarse 200-500 grit; Medium 600 grit; and fine 1200 grit. When you have a mirror razor-sharp finish on your blade, you are finished. Our Annual Show Is Next Month! May 16-17 are the dates in case you’ve been preoccupied and haven’t been paying attention. Please go out in your backyard right now (take a flashlight if it’s dark) and pick at least one tree that you will enter. The tree entry form is included with the newsletter. Fill it out and return it to Ann Erb as soon as possible. Also, volunteers are always needed for set-up and tear-down. Rack cards will be available at this month’s meeting. The big news, of course, is our show next month, but there are two other items that merit inclusion here. The first item is for those 60 and over who are not members of the Garden. Free Senior’s Day at the Garden on the following Wednesdays: May 20, July 22, September 23, November 18, January 20, 2016, courtesy of Welch-Ryce-Haider. 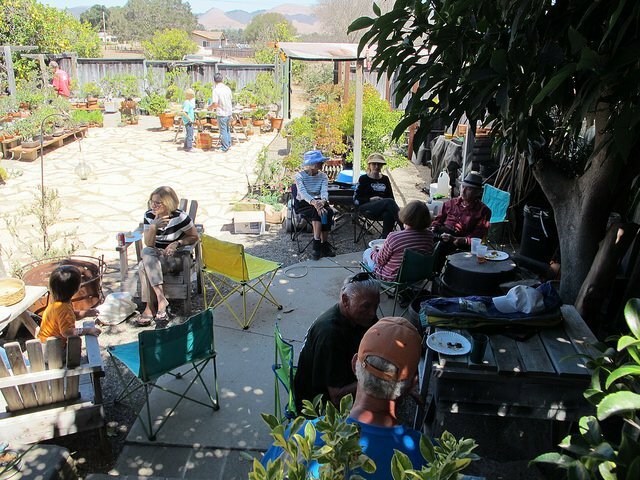 The second piece of news is that their Spring Plant Sale is on now through May 3. 9 AM until noon, Room 8, Goleta Valley Community Center. Ann Erb, instructor. Last of four workshops on the second Saturday of the month with the club’s own Ann Erb. Contact Ann Erb or Tom Post if you’d like to attend. Space is still available. 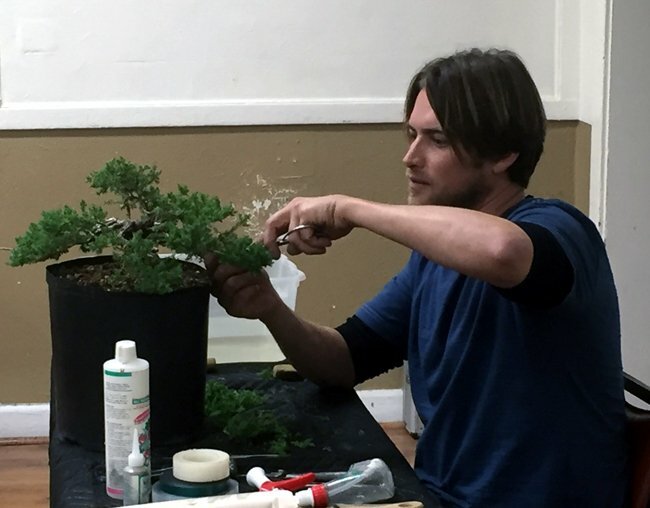 April 18: Bonsai Club Of Santa Barbara: Saturday Workshop With Guest Instructor. 9 AM until noon or 1 to 4 PM., Room 7, Goleta Valley Community Center. Katy Benson, guest instructor. Exhibition at Community Room, Camarillo Library, 4101 Las Posas Road from 10 AM – 5 PM. The exhibition will be supplemented by lectures and demonstrations by club members. At Santa Barbara Botanic Garden. See above. Beginner’s workshop. At Santa Barbara Botanic Garden. Signup sheet will be available at the show.